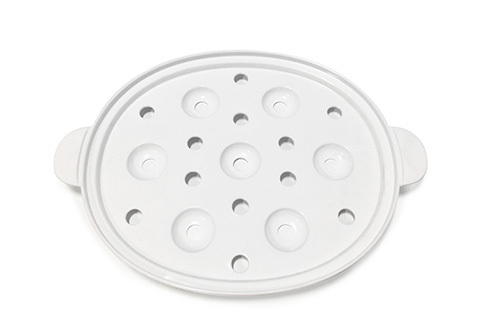 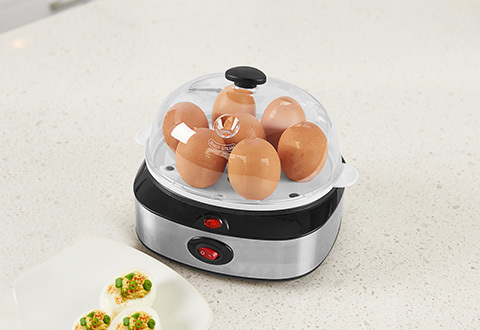 The Stainless Steel Easy Egg Cooker lets you steam cook up to 7 eggs at a time, without fat or oil. 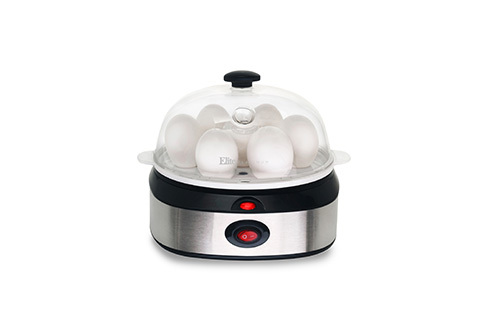 Just add the recommended amount of water for soft-, medium- or hard-boiled eggs. 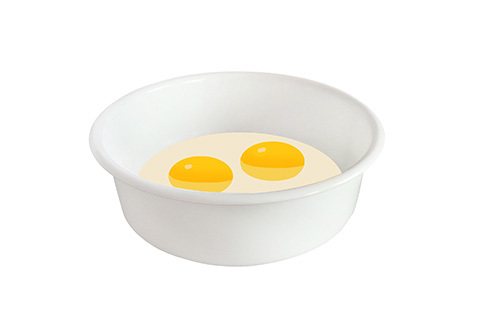 Or, use it to poach one or two eggs with the included poaching tray. 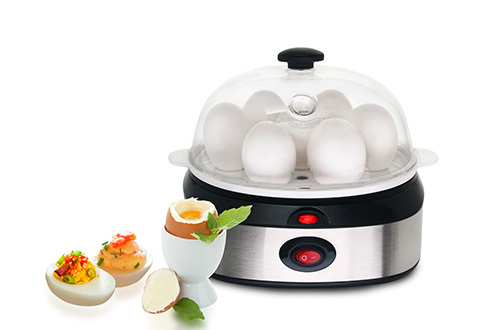 You’ll get perfect eggs every time, in less time than it takes to boil water. 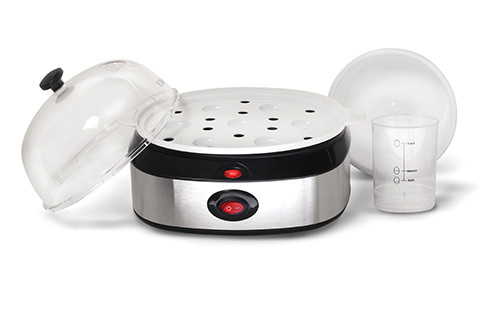 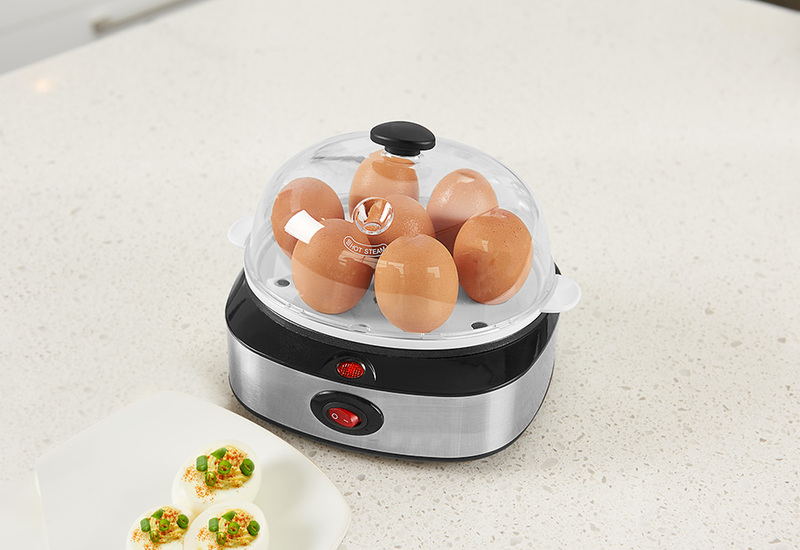 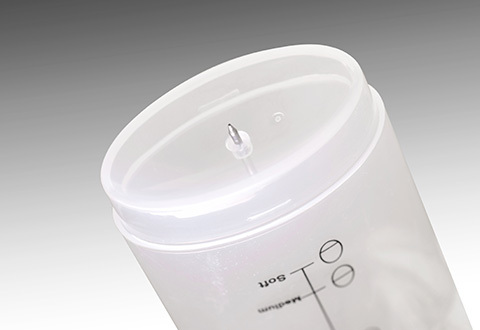 The Stainless Steel Easy Egg Cooker lets you steam cook up to 7 eggs at a time, without fat or oil!